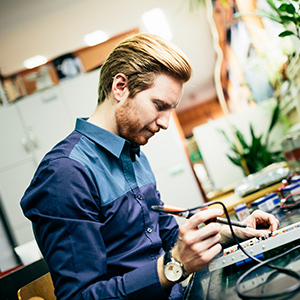 Phazar™ provides services such as DAS antenna manufacturing (including custom manufacturing) and engineering to ensure that your wireless infrastructure project is a success. 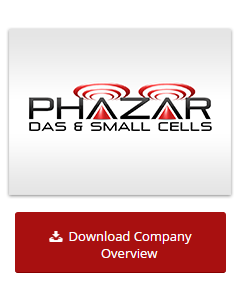 At Phazar™, all we do is design and manufacture antennas. Our DAS, oDAS and Small Cell antennas are designed by our on-staff mechanical engineers using state-of-the-art design tools and software, and must successfully complete rigorous quality and environmental tests prior to release for manufacturing in our ISO 9001:2008 certified facility. Learn more about our services below. Have a question or need to contact us immediately? Please call (940) 445-9427 or click here to contact us via e-mail. Phazar™ antennas are manufactured by Antenna Products Corporation in Mineral Wells, Texas. We are the only major antenna manufacturer in the world that performs custom contract manufacturing of DAS antennas and antenna systems for the wireless infrastructure market. Utilizing over 100,000 square feet of manufacturing space, Phazar™ is able to model, prototype and build some of the most reliable and high performance DAS antennas in the world. 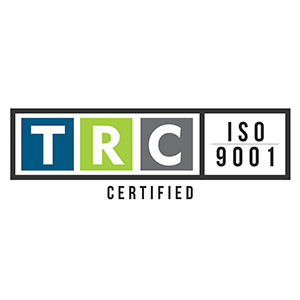 To ensure quality, Phazar™ conducts thorough monitoring and testing throughout the manufacturing process, all in compliance with ISO-9001:2008. This process includes first part inspections, in-process inspections, final inspections, and final RF testing to ensure that our customer’s antennas are compliant with the engineering baseline. Our skilled QA Department conducts all required First Article and Design Qualification testing, conducts all required internal certification programs such as welder qualification in accordance with the appropriate welding specifications, and audits compliance with the internal Quality standards. At Phazar™, our engineering staff is highly qualified with decades of combined experience in the design of DAS antennas and RF transmission systems. This experience allows us to take our client’s rigorous specifications and requirements and translate them into cost-effective, highly reliable design solutions. The quality system at Phazar™ is in compliance with ISO-9001:2008, and the design process is monitored through design reviews and performance testing to ensure the design complies with the customer requirements. Need help finding a DAS, oDAS, Small Cell or HetNet antenna solution? Call us now at (940) 445-9427 or contact us here.